People usually get confused about the meaning of ‘Rabins’. Here I will share you the meaning of my name Rabins. Some people say it’s Western name and some say it’s only the addition of letter ‘s’ to the end of ‘Rabin’. But, actually it’s not like that. Now let’s learn something else before we move into the actual meaning. It’s written as ‘B’ but pronounced as ‘W’ or ‘V’. Say written as ‘रबि’ (Rabi) and pronounced as’रवि’ (Ra-wi or Rah-vi). There are various meanings of Rabi (Sanskrit/Nepali: रवि) some write as Ravi too. 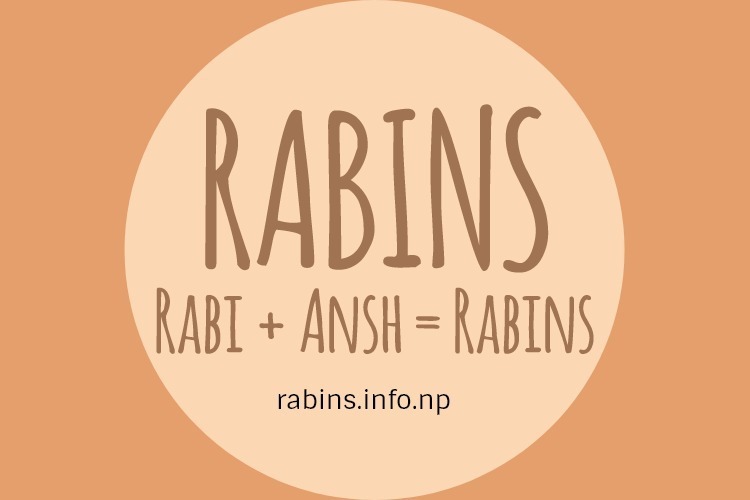 So Rabi + Ansh = Rabins, which means a God particle, a ray of sun light, a ray of Sun God or a ray of Lotus. The meaning of my name I’m carrying is ‘the God particle‘ or ‘the portion of the God‘. The other meanings of Rabins are (if we go for Lotus part). Before we more into, you should know the symbolic meaning of Lotus too. Lotus = the symbol of signify spiritual development, creation, purity and rebirth. Here, you have to relate it to the lotus-feet. The petals of Lotus resembles the Chakras and a complete lotus-pelleted feet is said to a person who already is divine. In Hinduism we call that person a True Guru or a true Master who now plants the same lotus in our hearts and teaches or guide us to uplift our self from the mud and bloom pure outside the mud. Here is my own quote related to Devotion and Being Lotus.